Don’t miss out on the ultimate in body care! 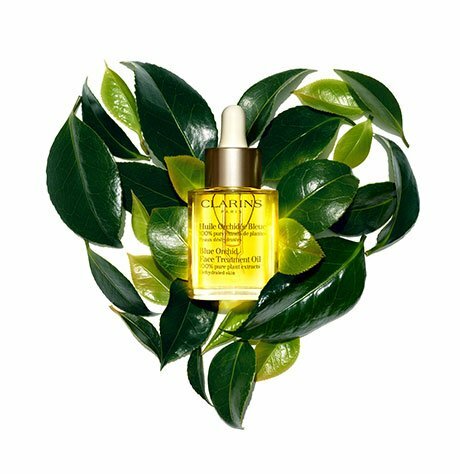 Clarins’ top-selling Tonic Body Treatment Oil creates an aromatic and healing experience - one that truly benefits the condition and appearance of your skin. This concoction of 100% pure plant extracts including rosemary, geranium and mint is a powerful remedy for dull or fatigued skin. Sometimes it’s much more natural for us to indulge in facial skin care than it is to treat the skin covering the rest of our body, and so we may well forget to soothe and nourish all the rest! 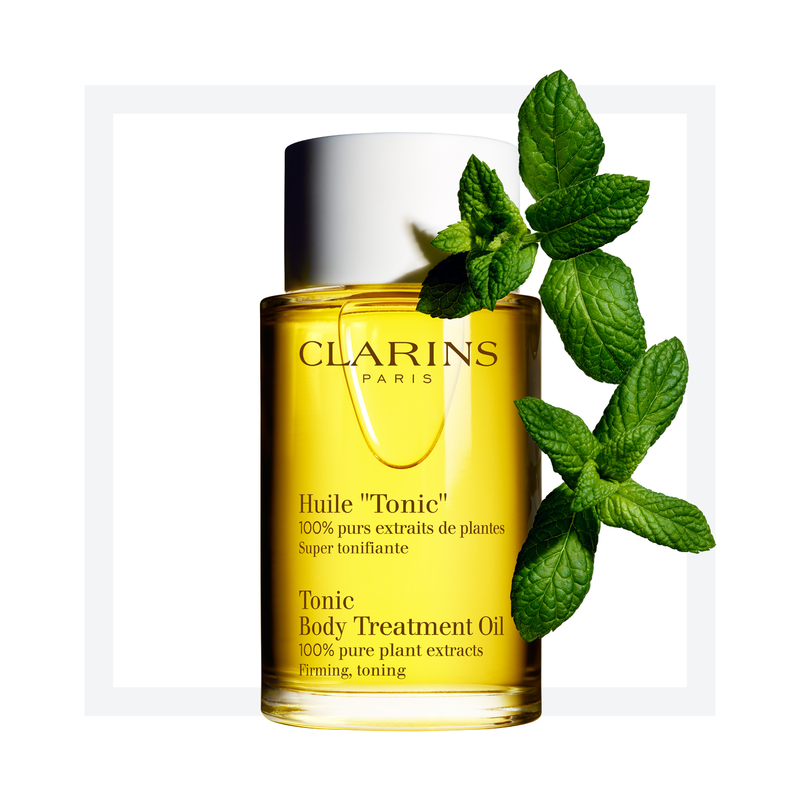 Tonic Body Treatment Oil can help restore those forgotten areas as it works to heal, firm, tone, and promote stretch mark removal. Tonic body oil is natural, soothing and preservative-free. Rated 5 out of 5 by Caesalpinia from I don't know if it does much for the skin, but it smells amazing! Rated 5 out of 5 by Littlefatty90 from Excellent Product I received this oil with two other stretch mask control as a preparation for my pregnancy. I haven't tried the stretch mask products yet, I tried this oil last night after shower, I have to say I was truly shocked. My dry skin absorbed the oil very quickly and became very soft afterwards. I can imagine my skin after a bottle of usage. 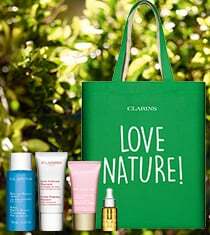 This product really renew my opinion on Clarins. The only thing I don't like is the smell. I think I need more time to get used to that. So far, this oil can be counted as my favorite skin care product. Rated 5 out of 5 by josave from Best body firming product I've ever used!!! I'm 62 and I've tried so, so, many products to firm different areas of my body without success....but I have seen a real difference with this product. I'm on my second bottle....and very pleased with the results. 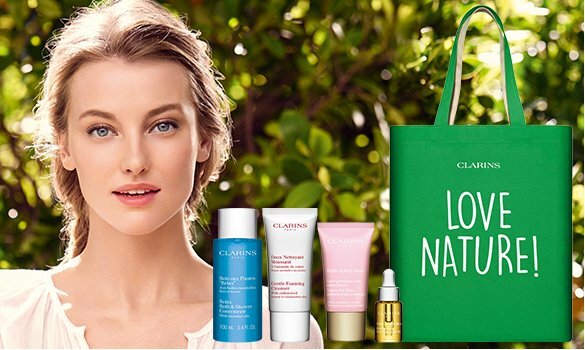 I've found the scent strong so I personally use it at night...Due to my success with this product I have purchased a few other creams from Clarins.